Italian calfskin Leather. Sterling silver finish Four Piece Buckle Set and 5 matching Ornaments. 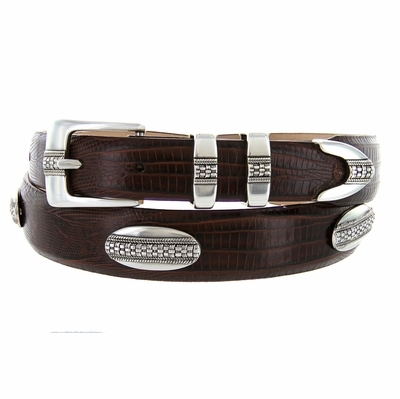 Lined with soft Genuine Leather 1 1/8" wide Tapering to 1".